Embodying the energy of life as an explorer on the open seas, the Yachtmaster is a classic and stylish everyman’s watch. Perfect for the seasoned collector or the novice watch lover, this stunning accessory will literally stand the test of time. The Rolex Yacht-Master 16623 is a stunning watch, ideal for casual walks on the beach. Created with the intent to capture the heart of the maritime minded, this two-tone, 18k gold and glossy stainless steel, timepiece is one of the most idolized variations released in 2005. In the early 1990s, Rolex sought to design a classic update on the Submariner, which earned acclaim for its resistance to water and corrosion. First introduced in 1954 at the Basal Watch Fair, this classic sports watch was perfect for deep diving and aqua adventures. Yet, the appearance of the Submariner lacked a certain elegance and sophistication. It lacked real panache and polish. Rolex changed all that with its design of the Yacht-Master. 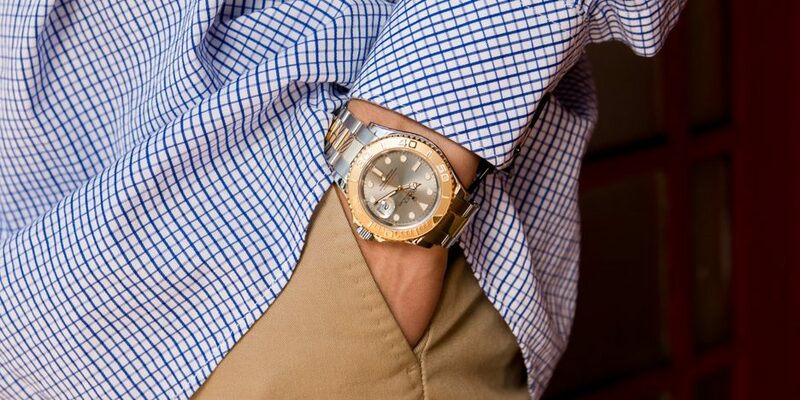 Take this watch and dress it up. This stunning new wristwatch was perfect for the high seas but chic enough for a swanky dinner at the country club or a formal business affair. Marrying the contemporary luxury of Rolex with the functionality of a nautical device, this new breed of watches was a welcome twist on beloved racing watches like the Daytona. Forget the fashion formalities, this watch calls for a breezy, coastal chic attitude. No need to have a shirt tucked or a blazer pressed, it’s all about comfort and ease. 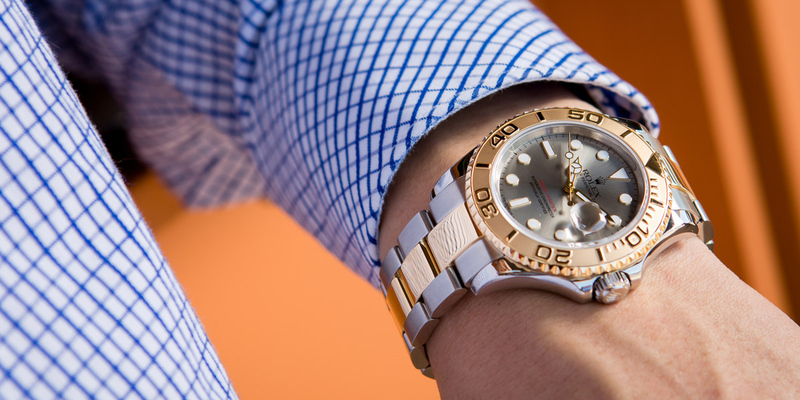 The Rolex Yacht-Master reference 16623 demands nothing but a relaxed and easygoing attitude. The watch does the work—it calculates, computes, and clocks but the wearer need not sweat; they get to stare at the ever expansive ocean and breathe in the warm salty air without a care in the world. What are your thoughts on this watch? Comment below.